"The best ATS (and I've tried most of them!)" For a smaller staffing firm, this perfect ATS. Super intuitive - Zero training needed to get started. Super Powerful too. The workflow automation is fabulous. We have our entire sourcing, recruiting, qualifying, interviewing, hiring and on-boarding process built in to the workflow. My recruiters don't need to use email. They Use CATS. One of my top recruiters, I could never get to use any other ATS (PCR, BullHorn, MaxHire, etc.) and now she only uses CATS and her cell phone. She loves it because we've automated all the emails, scheduling, follow ups, etc. Just flip a switch and your task is done!! Reporting. This is CATS biggest weakness and the only reason I wouldn't recommend it for a bigger firm. It's virtually impossible to pull out recruiter metrics without spending hours each week. Although they have some canned dashboards, there is no customizable performance reports comparing week over week or month over month. Highly recommend it for smaller staffing firms. Automation of the recruiting process and management of clients, candidates, jobs and companies with ease. "Best program for candidate tracking"
With CATS you literally have everything you need for candidate tracking. Is user friendly and very detailed. Apart from the candidate friendly application process, it let's me upload resumes from candidates who show up to our offices without applying online. The easiest part of it all are the metrics. Easy to download reports too, makes my job alot easier so I can concentrate on other tasks. Furthermore, they recently integrated the SMS service, were I can send messages to candidates and keep track of it all in the candidates file. The only thing I could suggest is having different language settings. For example, I use this program here in Puerto Rico, many of my coworkers a do not understand English as good as I do. Review all the training videos they provide on their website. One of the problems we resolved with CATS was the EEO tracking of our candidates. "Best tool for Agency Recruiters"
I wish when we searched in the candidate files there was a way to load that to a "project" or at minimum page from record to record without having to go back to the list every single time. I don't use the sourcing feature in the tool very often due to the lack of paging item from person to person. If you are seeking a great pipeline product and one that has nearly everything you need yet at a cost effective price and without a contract this one is amazing! It allows us to be flexible in our business as we have recruiters that don't work full time or take summers off thus it allows us to turn on and off the cost of the tool, we love this product! I love the responsiveness of the CATS support team, they're willing to troubleshoot and entertain new suggestions. The ability to customize just about every field and feature available makes the system work very well for us, even between different teams within our organization. The community tips and suggestions are helpful. The CATS extension for importing candidates is also excellent. The interface could use a facelift, however, it's grown on me as my appreciation of the software has increased. Some of the features are not as intuitive as I would have anticipated, but they're the type of errors that you only make once and never forget. I'd like to be able to use multiple email addresses as I have multiple clients. At this time, there are not separate pricing tiers for admin vs recruiter. One form of CATS (HR) has interview templates while the other does not - many features would be useful for both groups. We've been able to decrease the number of applications that we require to track our applicants. By utilizing the tasks feature, we've gotten rid of our reliance on much of the project management software. We're able to store quite a bit of information on a job order page which time. There seems to be an overall sense of improved organization. The flexibility of the CATS ATS is one of the greatest things I've seen in this industry. The ease of use and adaptability make it number one in my book. The way we are able to track and pull reporting has cut down on back end work for our HR department by a great deal. I can not recommend this program enough to any company that is struggling with little resources or budgeting. It's cheap, easy to use, easy to setup, the people at CATS are fantastic to work with and know their stuff. I have used this ATS system for over five months now and and have no dislikes at all. Every time I think there is something missing there is a new roll out and update that takes care of it. By far the greatest tool added to date has been the ability to text within system. I just can't seem to find anything to dislike about it. Even upon polling my team of recruiters they are at a loss to give me negatives. Give this ATS a try you absolutely will not regret it! Not only has the functionality of posting to job boards on our behalf brought in more candidates, we can now quickly search through, tag and move to hire quicker. For starters, customer service is awesome. I have use this software since 2012, and it keeps getting better and better. It’s very user-friendly and keeps a lot of data at your fingertips. It doesn’t take a lot to get started, and it has a lot of integrations that Connect with my chrome browser for easy data entry. The reporting function has a lot to be desired. I personally like to be able to break down into small bits of information to find places for improvement across my team. This really just measures very basic data. Having a good software where I can manage clients and candidates has soft many problems. It keeps things very easy and accessible. A lot of ATS are hard to use and not configurable/very hard to configure. We have build in trigger for almost everything that kicks out emails to those who need to hear from the recruiter. All the triggers are customizable! I would recommend making the emails show without pictures. For some reason when the emails kick out, it shows a notification saying you need to click to download pictures in the email? Streamlining and automating the recruiting process has helped cut down on our fill time for many positions. "Great CRM system with great automation options for sending out email"
It's simple and easy to use. New employees can be trained within a couple days or less to use it. Control over users and permissions. Decent price plan, and support for how it works. In other words they will help you understand how it works. The reports that are built in. Be careful. Some numbers are dynamic , and some are static. Some are historical, some are now snapshots. CATS provides no report titles or descriptions that would tell you anything. The number in different screens don't gel with what they say either. Use API for reports , or use the report > general > users to see the true numbers based on the time frame and now. Just don't trust they are correct (the reports) Also some things only get recorded upon mouse click events. Meaning if you use the online application system, it will not show you numbers on what user got the most new application .. the web cant record the status .. cause it needs manual entry. Which defeats the point of the live site. . .Also support doesn't get technical, and neither can the staff. If you plan to use this for API and build something bigger . be aware they only have forums in which you can get tech help from. No internal support or devs it seems. Last note , if you want something to be fixed, or find a bug. You will need to gather mounds of evidence before they belive you. Its a great system at a great price. However, ee careful with reports , they don't come right out and tell you what you are looking at per say. Be aware. Recruiting, and staffing. Works well, we integrated with API. again be aware they may change the way the API works .. don't go too far beyond what the basics are. The built in reports are good for gauging direction ,, good or bad. Do not count on these numbers to reflect accuracy. The ability to customize and configure the system to meet the needs of your organization. The system also integrates with a number of free job boards which increases the exposure of posted positions to reach a broader audience. There is also a connection which allows users to share job orders / openings with a community of recruiters if you're a firm and willing to split placement fees with other firms. Uploading existing data is simple and integrations into an existing jobs page or website is an easy process as well. We have multiple divisions in our company so we would like to have the option to have separate Candidate databases in our system so not all divisions are grouped together in one large bucket. Sometimes key-word searches will bring up candidate in other divisions that we do not want to see. If you want a systems that's simple to use and easily configurable, this system is for you. Being able to log and track activities on candidate for our various recruiters to utilize to eliminate duplication of efforts and keeping candidates on-track at every step in the hiring process. Also we have a process in which we pipeline candidate (or create lists) for certain positions to help with focusing efforts on filling the position. Lastly, championing the use of CATS has improved our employees detail-orientation and has allowed for them to develop habits which increase their recruiting capabilities. "Long-time user -- I LOVE CATS!" I really love how customizable the interface is. It allows you to add or hide fields, move things around on the various screens, add triggers and workflow steps, etc. Instead of forcing you to work their way, it lets you make the ATS follow the way YOU like to work! You can easily make call lists, keep track of who has applied to which jobs, where each candidate stands in the application process, and display a complete log of all conversations and other communications with each person you deal with. I also love how easy it is to post jobs and add specific application questions for each job. It also integrates well with LinkedIn, with a browser extension that automatically imports LI candidates into CATS. The CATS mobile app (for iPhone) is extremely limited in what it allows you to do. This should be much more robust, allowing you to do almost everything the desktop version can do. In today's mobile world, this should be a priority for the development team. CATS makes the entire process of recruiting and business development as easy as possible. I've used may other ATS programs in the past, and I still think CATS is better (and more affordable) than most. I have been using CATS for a variety of Clients for the past 5 years. What's very helpful is the ability to customize portals, applications, fields, workflows, and messaging/escalation of critical matters via self-performance. Other systems I have used and implemented don;t come close to CATS' ability to meet individual organizations' needs. Smooth candidate experience, instant notification on any device after a candidate applies, and meaningful KPI development. Would be great if CATS could offer digital signatures or integration with DocuSign. Only other suggestion would be to enable a "tab" interface. Very robust ATS at a VERY reasonable cost. Support is incredibly responsive and will typically resolve any issues or concerns while you are on the phone with the expert. Support is provided at no additional cost. Recruiting and tracking. I've transformed numerous Clients' hiring processes with the help of CATS. No paper files, spreadsheets, or manual notes. Every event from requisition development to hire is automated in CATS. Time-to-Fill often drops to 2-3 days thanks to the automated approval processes. "Robust set of features for the price point"
I find CATS to be very user friendly and pretty intuitive. I also think it has a really robust set of features for the price point. I work as an HR consultant and this is my top recommended ATS for my customers who are on a budget. You can't beat it! I have implemented it at 5 different businesses and they love it. It is very easy to configure and customize for your needs - anything from the workflow to email templates to triggers. It can be a bit slow to load at times, but it's usually not a problem. I would also like to see better reporting/metrics, and the ability to run email campaigns from within the system. Do the trial and see if you like it! Manage your candidates in a strategic way. Mitigate risk with good documentation/record keeping. Provide a great candidate experience by using triggers and templates. "Better than the other ATS's"
CATS is workflow based, and allows bulk messages, which were a couple things that are absolute must haves in an ATS. We find it way more user friendly than Bullhorn and other ATS's that are made for agencies. It's tough to distinguish between an update to one workflow, and a state of being. For instance, if someone is Not On Market - and I've marked that on one role, I would have to update it somewhere in the candidate record as well. In my ideal world, I could set this for 6 mo and it would go away after that. CATS customer service team is mostly responsive, but could still be even better at taking the time to understand the business case behind certain requests. We want everyone in our system to always be discoverable. We even find that when the client said oh we filled the role with... Bob Jones... well, Bob Jones is in our system. We just have to classify things so that it is easier to find things again. I like that you can funnel all your job orders and applications into one spot. Easy to use, search engine yields great results when searching for anything. I like that it's easy to keep track of what you're working on, you can make notes for yourself on candidates for your other employees to see. You can mark off what you're working on and whether or not the candidate moves to the next round. Essentially made it easier for everyone to see what everyone else was working on. Everything is viewable in one spot. We can see how many job postings we have, we can see how many applicants come in, we can see how many we have declined or moved to the next round YOY. There is a 40 character minimum but I can't say there is much that I dislike! Do it! Super easy to use, organized, allows communication to be seamless with whoever your working with or whatever departments. Easy to make and leave notes, change candidate statuses, add, remove, alter job postings and job orders. Would definitely recommend! CATS overall mostly just helped us with organization. Everyone can see, track and make notes on candidates or whatever it is we are working on. I have worked with many ATS- This is the most user friendly one I have used thus far. There are many options for your team to utilize. We could additionally use this for other needs, but haven't established any other needs that we need to use for at this current time. I would like to see the option to collapse the status updates, when you copy/paste a message. Or even the option to have different tabs so that it doesn't look as crowded on the main screen, but overall I like the system. This is a great system, especially for new users, given the ease of use. I haven't had to utilize support, but have not heard anything negative from my team members who have had to utilize it. This is our ATS- we use it for tracking all of our candidates across our group. It is great to be able to share candidates and have all of the recruiters with access to make notes across the board for all to see. It is always helpful when trying to scroll back through for reference notes. "Have used it for about 5 months and it is the easiest ATS I have ever used." I like the text function. Most ATS have the email function. People prefer to be texted rather than called these days. I wish it was mandatory to upload a resume when applying. I still get some applicants that do not upload a resume. Simple and no contract. You can try it out during a trial period. I also like how you can edit things to fit your needs. We were not getting candidate flow for LNFA with any of the job boards we were using before. We are now getting flooded with qualified candidates. "Excellent, customizable ATS and CMS in one package!" The ease of customizing both contacts and candidate workflow and data fields. Email, calendar and other platform services integrations for posting, etc. Needs a better system to document and schedule of internal follow-up on the candidate or contact profile without emailing the candidate or contact. An internal tickler system while logging an activity, schedule a task or event. CATS needs to have texting capability. Understand this is on the product roadmap. Reporting is really in need of an overhaul. Need to take the corporate customer in mind of the data and how the data is accessed and presented. Needs to have ad-hoc reporting. Candidate screening is okay, but no real way to force rank candidates. The job portal on mobile is good, which is a big win when getting candidates to apply. For the internal user of CATS, a mobile app really needs to be developed. Currently just the website access which is cumbersome and hard to navigate on mobile. 2018, CATS needs to get into the mobile age allowing recruiters to access their jobs, candidates and quick evaluation and outreach to candidates. See Zip Recruiter's mobile platform. Super easy to navigate and syncs with the web application on desktop. Go mobile CATS! The ability to create separate job portals per client and create screening questions per job or using templates is great for the RPO space. Easy to use, cost efficient and offers exactly what I need for my business. I am a small business and CATS works perfectly for me. I like that it allows me to post my open positions on various job boards as well as my website. There is nothing that I don't like, as with any system you have to work with it and learn. CATS will allow you to preview their system and once you do you will find that it offers the very same service as some other companies. When I have had a problem or question they are right there, I have not had to wait for someone to call me back and be down for hours or days. They were excellent in transitioning my former data base to CATS. Easy to add and delete candidates, customers and jobs. Allows me to track my candidates throughout the interview to hire process. "Applicant workflow, messaging, branding, posting customizable and easy to use"
The amount of standard ready-to-go features are great. Customizing in every phase of workflow is powerful. Would like to see more features made available to turn on or off for the Hiring Manager. If you have an internal HR/HRIS person who is dedicated to HR workflow tools you'll do fine. If you don't, I strongly recommend outsourcing. www.hrpartner.pro. I provide an HR outsourcing model www.hrpartner.pro to small and medium businesses from 5 to 250 employees. For my CATS users, I become the clients HRIS strategist. Applicants experience a direct process and are not left with the infamous "black hole" that most ATS systems leave them in. I know this is more on the user to manage but CATS makes it very easy to engage and disengage applicants with respect and timeliness. In a competitive market, the best applicants seem to recognize this and are positively influenced by great customer service. The war for talent is now real. My clients that have been with me for several years are growing their talent and in proactive mode while their competitors are experiencing hyper turnover and slow hiring processes. The ability to customize different aspects.I like the tracking system of applicants and the ability to source them into CATS. I also like the customization dashboard but i dont use that often. it is slow and would and like to see more advancements in regards to tracking candidates and adding more notes. If you like having alot of functions and customization then CATS would be the one for you. We use it mostly for recruiting purposes. So it helps to manage our candidates but we dont use it for HR purposes like onboarding. There have been some recent updates that have been helpful- such as the SMS capability. Using tags has not been user friendly from my perspective-- some places it shows the tagged information input into the email-- other places it shows it as the scripted tag info. When sending an email to an applicant I don't get to see what they receive. From my sent history it makes it look like the applicant receives an email attempting to send tags and failing to succeed successfully. Just realized that a meeting scheduler is included; this is something I've toyed with being a helpful tool-- i was not aware it was a provided feature until today. If this works how it is intended then it could be awesome. "Extremely user friendly system, very flexible to your org"
I liked that not only did it perform all the functions I needed it to, but that it was highly customizable to what the organization needed. Quite cost effective and approachable. Nothing yet! The team has been super responsive, the system is reliable from both an administrative and hiring manager perspective. I used iCIMS at my previous job, and wish I'd known about CATS earlier. WAY more straight forward, and still functioned in all the ways we needed it to. Great support team as well. I cannot recommend this highly enough. The organization that I implemented this system for was using excel to track their applicants and a folder system within gmail to manage communication. This linked to outlook, capturing all correspondence, neatly put candidates in the right places for all to see, and allowed for easier tracking/visibility into pipeline management. The display and easy-to-navigate features, especially the tagging and trigger options. It's not a make or break by any means, but if I could separate my lists into groups like I can with tags, that would be great. Take advantage of the triggers when changing a status for a candidate - it will save you and your team an IMMENSE amount of time! Tracking talent, especially if a candidate applies for a role they are not qualified for, it allows us to track them and follow up if there is a role that opens up in the future which is a better fit to their experience. "Wonderful System - Checks almost every box"
I love CATS and the usability of it. Features are very well thought out and automate a lot for the Recruiters. The new text system is a great addition and makes it that much easier to get in touch with candidates. I am waiting for improvements on CATS reporting features. This is the one down fall of the system, other than that it checks 9 out of 10 boxes. Have another system or function for reporting and metrics. Going from excel to CATS was an amazing transition. It is an easy to use system and has made our Recruiting Department an efficient machine allowing organized data and notes, as well as, automation and customization options really save time without sacrificing our voice and brand! "I use it, it's great! " I love that you really can set up this system, this ATS, exactly the way you want it. You can add fields, name them whatever you wish, place them where ever you wish, search and report based on that. Completely Versatile, How can you complain about a system that you can make it do exactly what you want it to do? Great ATS - and trust me I have used them all! Nothing, I dislike nothing about CATS, NOTHING! It's perfect! Got to use it. Simply the best, most versatile, most user friendly, most customizable, and best customer service. Cats are solving both my recruiting headhunting needs as well as my staffing tempt to perm needs! Perfectly. I like the ease of use whencomes to exporting and importing candidates. I wish they had more integrations and the chrome extension worked on more sites. My entire process is efficiency and relies heavily on importing and exporting candidates through .csv sheets. I currently recruiting forand Engineering candidates. I can generate a list of 1000 target candidates in less than 3-4 hours through data extraction and reach 400 candidates over the phone with a power dialer system. This is the only system that gives me the flexibility I need. It is an easy system to use and the support from the CATS team is great. If I have had an issue, they always work with me! Though it is an easy system to use, it does require initial training and the UI can be confusing if you aren't sure what to do. It allows for tracking our candidates and listing our jobs in a simple and straightforward way. It also allows us to list our jobs quickly and make sure we can get the right people calls back. The tracking system allows us to see which jobs are going well and which ones we need to update it. It's relatively simple to use. It's efficient since it automatically posts to popular job boards. It also allows candidates to apply straight for Indeed creating an easy application process for candidates. Not as customized as other ATS. Emails to candidates through the system seem to end up in their junk mail. This leads to missed communication which inst good for the candidate experience. We have multiple companies and it doesn't have the ability to post as our separate companies from one account. We had to create separate accounts for each company which has effected to our efficiency. it helps us keep track of our recruiting. We do high volume recruiting and can have 100's of applications at any given time. "Best for sending Email merges "
The most i like is, sending an email merge from the tool to pool of candidates from our candidates database. Its an awesome feature. So many duplicate names and duplicate resumes can be added for a single person and hence forth it is very difficult to keep one record for each person. "Very customizable and strong search functionality"
CATS is highly customizable with a robust search function which makes it easy to keep track of the candidate data that is most important to us. The list of job boards that CATS pushes out to is one of the longest lists I have seen in an ATS. The time it takes for the page to load after every click or command can be a bit frustrating. CATS has made it easy to keep track of our full candidate network, and reach out to them on an ongoing large-scale basis with opportunities that may be a good match for them. "Racheted Up our level of Organization on New Client and Candidate Follow ups"
Ease of Use and Depth of solutions. A lot of great applications that work cohesively. There has not been anything to dislike so far. Company has been responsive to implementing new ideas and recommendations.. Check out the integrations including Slack. Also, the smartphone configuration works very well, too. "Good solution, easy, but needs some more robust features." - Easy to work with Hiring Managers to get profiles to them for review, etc. Including logged feedback. - Reporting is so-so. Currently have to run manual reports as its so-so on running reports that matter most, like conversion rates, etc. - No SMS ability and tracking. Everything... lol! When I joined there was no ATS.... it was a challenging situation. This tool helped get up and running rather quickly and easily with minimal support required. I've used other systems and what I personally like about CATS is it's not overly complex. It's fairly intuitive and there's not a lot of extraneous features to make it more complex than it needs to be. To be fair, I don't spend a lot of time looking at features as I'm usually busy doing the things that need to be done, but reporting is one thing that comes to mind that might be better. If you're looking for an easy to use and functional ATS that's affordable, CATS will suit you well. Mainly tracking candidates through our process. Makes it easy to go back and read through notes on a candidate. Dealing with the volume that we do, it's hard to remember every detail and there have been a number of times that I've forgotten details about a candidate that jogged my memory once I was able to go back and review. The pricing has increased substantially from when I first became a customer and it was around $39/month. The product continues to improve, but I still feel like the pricing has spiked in a way that may not be fully warranted. Keeping track of various recruiting projects and being able to see relevant reports has solved the problem of keeping my clients and candidates updated. Being able to transfer candidate pipelines to new projects has saved time. "Simple and Clean User Interface"
I can't think of one thing that I dislike about CATS. If I had to make a new feature recommendation, it would be to integrate with Google Contacts. Then, because of Caller ID, I would see the name of the person calling my cell phone before I answer the call. If you like clean and simple software, look no further. CATS keeps me organized and efficient. "The Best Recruiting ATS On The Market"
I have been in recruiting for 22 years. My first ATS was an Excel Spreadsheet. CATs allows you to fits your personal preferences in a very robust system that takes you through Account Management, Job Order Tracking, Candidate Pipeline, Interviews, Starts, and Revenue. You do get everything you need plus it integrates with all social media and digital calendars. Like all cloud-based systems, data retrieval can take time, but at least you know your data is always backed up. Well worth your investment. You will see your ROI with your first placement. "I can't imagine using a different service"
The workflow automation is amazing and it makes my job so much easier. The effectiveness of the system allows me focus on what I'm best at. I love the ability to customize basically everything within the system. I wish there was a click to call feature. I am finding amazing effectiveness in my recruiting business because of the automation of my workflow in sending emails and creating tasks. I can just spend my time doing the things I do best rather than organizing information or deciding what my next task is. "Easy out of the box usability "
I needed Cats for a startup talent acquisition department. It's so easy to setup and use no implementation any expensive start-up fees but with most of the features of the bigger guys. Sometimes I wish the reporting tool was a little more robust and I would love an SMS text message integration. "CATS is making my business simplify." CATS has been customizable to the way our company works and their development of new reporting and time saver features gives my business a technological edge in an all ready highly-competitive market! Reporting could be even more robust. We also would like it to eventually integrate with our VOIP phone system but we know that Is in development along with a text feature. Having a customizable work flow has helped us to mirror in CATS what is happening in the candidate lifecycle. It has also been scalable from day one. We’ve been using CATS for over 7 years! It's straight and to the point on what it offers. I hope they never change a thing. It is truly perfect. It's really hard to be that picky honestly. It's fine. The email integration sometimes messes up and you have to reset it, but I'm just being picky. Only takes a second to fix it. Being able to stay organized. We didn't even use an ATS before this. We can both post to job boards and have an ATS all in one. It's a solution that requires only one program instead of multiple. It even emails for you. Utilizamos CATS desde que abrimos nuestra empresa, y nos ha ayudado a ordenar nuestra base de datos de forma eficiente, llegar a los recursos humanos que necesitamos encontrar en tan solo minutos, y nos ha ayudado a incrementar nuestra base de datos de manera simple, apenas haciendo un click en un add-on en Chrome. Deberian integrar Whatsapp para el envio de los trabajos. Base de datos bien organizada. Incrementar la base de datos en forma cotidiana. "Cost effective and efficient CRM for Staffing"
Resume parsing, simple candidate ratings, job board, automated emails. Simple to see resumes directly through mobile device. Would like to see a mobile app with similar functionality/ access to work from while on the road. Highly recommend looking at this system over other products. Cost effective solution, simplicity of processes and ease of use. "Very organized, easy to access system!" The thing I like the most about using CATS, is when a job is posted and I feel there may be an error, I'm able to go back and fix the error even after published! Saves me! I'm not sure what to pinpoint that I dislike. I don't dislike anything about the CATS system! "The best ATM of all times !!" I love the integration with LinkedIn and CV sent by emails to Cats ! Cumbersome/time-consuming. To get annual discount, all users must be paid for up front. 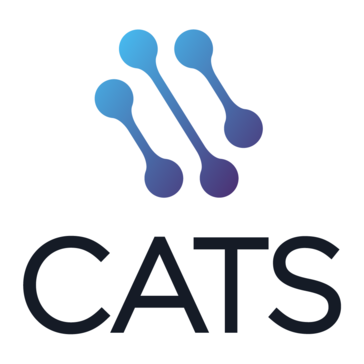 If you need an easy-to-learn, basic ATS that is constantly improving and provides great support, CATS is a good choice. CATS keeps us organized and provides detailed records of each candidate and job pipeline. "Easy, efficient and it works"
Ease of use, intuitive approach to workflow. CATS has come a long way in over 10 years. Ability to be able to work on any platform, anywhere makes CATS a joy to use. "I spent 6 months researching ATS systems and concluded that CATS is is the best"
Workflow and possibility to customize the pages - creating new fields etc. Not being able to have SMS integration. I would love to send sms from CATS and track SMS received. You cant go wrong !! Its the best. I like that job postings are included in the price. It is easy to add jobs orders and candidates. It can be slow at times and get stuck. I wish it was cloud based vs internet based. "User Friendly Applicant Tracking Platform"
If you want a user friendly applicant tracking software this is the one for you. "Great Workflow/Automation and Easily Customizable"
Ability to customize/automate workflow and minimize "unnecessary" clicks. Plug-in with ability to import resumes directly from LinkedIn, Indeed and similar. Calendaring didn't work well for me. Reporting (internal and EEOC), process automation. Able to better maximize our hiring potential and hit opportunities that we might otherwise miss. * We monitor all CATS reviews to prevent fraudulent reviews and keep review quality high. We do not post reviews by company employees or direct competitors. Validated reviews require the user to submit a screenshot of the product containing their user ID, in order to verify a user is an actual user of the product. Hi there! Are you looking to implement a solution like CATS?